B & M Leisure is a premier supplier of custom neckties for corporate businesses and sports teams & sport clubs throughout the UK and Ireland. As specialist tie makers of bespoke personalised ties, we can supply your sports team or organisation with the perfect design, incorporating a club motif or company logo. 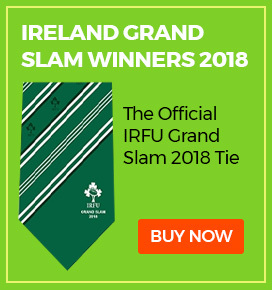 Over the years we have designed bespoke ties for many prestigious organisations and worldwide sporting events, including our speciality – rugby neckties. We supply the finest quality, personalised silk neckties in the UK. We offer an exclusive and personalised bespoke Design Service which takes just a few hours. Simply email us your sports team motif or company logo together with the colours preferred, and we’ll take care of the rest. Contact us now for your FREE Tie Design Quote. We also supply a wide range of clothing, sports wear, wire blazer badges, pin badges and trophy-style wall plaques. 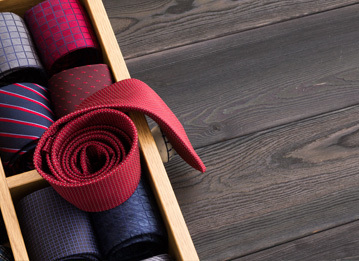 We can incorporate your logo branding or motif into personalised ties, using a variety of colours and finishes. 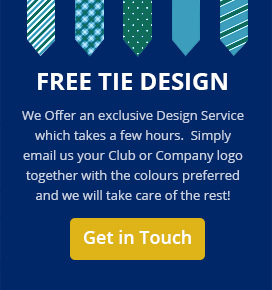 FREE Tie Design Service! 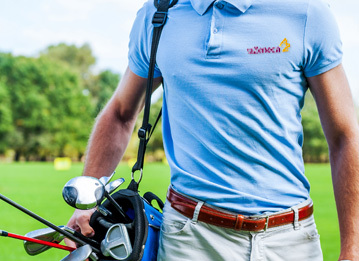 B&M offer a wide range of brand name clothing, which can be supplied embroidered with your club or company details. 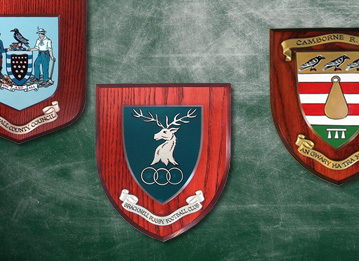 Hand-crafted wooden plaques, featuring your logo or team Coat-of-Arms, which are hand painted in enamel onto an embossed centre.